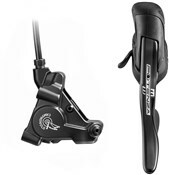 Features that were previously only available to high performance motorsports drivers are now available for the best Triathletes and Time Trial specialists in the world. 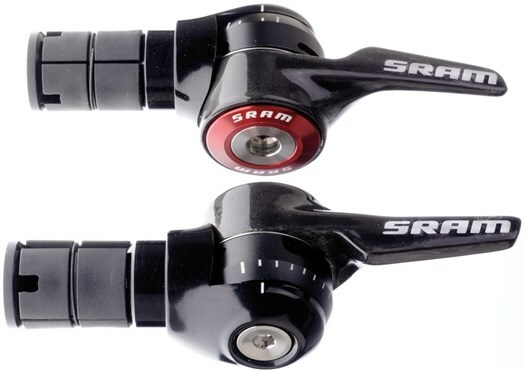 No need to bend your hands anymore, SRAM s new R2C (Return to Center) bar-end shift lever allows you to start in your best aerodynamic position and keeps you there! After every shift it immediately and automatically returns to the starting center . No more stress, awkward hand positions, or loss of concentration. Just focus on your search for speed. The aero shifting blade is made of unidirectional carbon and has been shaped perfectly to fit between the thumb and the first finger. The inside titanium bolt enables you to adjust the initial position of the shift lever within a 40 degrees range for a 100% customized fit. 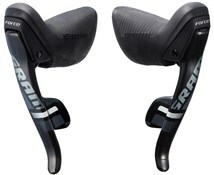 Rear shifting is indexed for fast and flawless gear changes, while the front shifter is available for 10-speed in YAW, as well as SRAM s traditional systems.